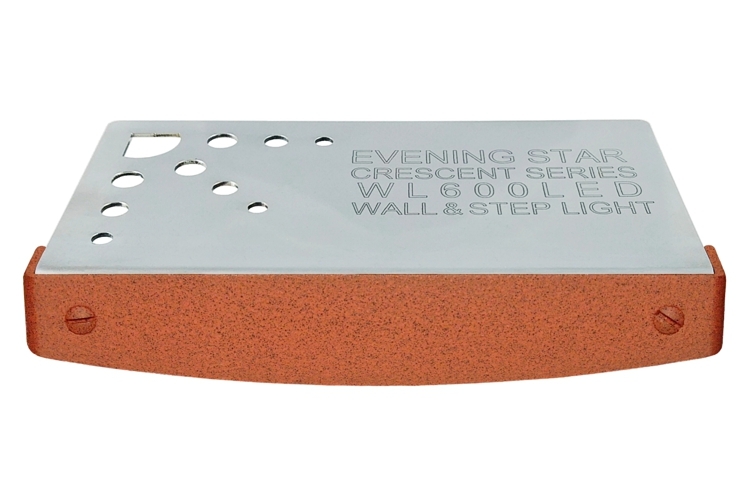 This Crescent™ Series Hardscape Light features an Aluminum Faceplate with Stainless Steel Screws that are Powder-Coated with an Earth Faux Finish. The fixture is mounted between the wall block and wall cap, only needing a discrete 1/2" cap reveal. 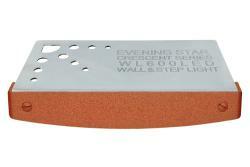 The 16 gauge Laser-Cut Stainless Steel Flange is held in place with weatherproof construction adhesive. 6' of 18/2 SPT1-W cable is conveniently centered and exits the fixture from the backside. The cable is routed through a saw-cut kerf in the wall block. Connections to 10/2, 12/2, 14/2, and 16/2 Low Voltage Underground Circuit Cable are quickly made using our Lighting-Fast™ Power Tap Connector and is included with each fixture.